Back in March, I had an opportunity to visit Tastemade Studios in Santa Monica, California in order to shoot a special episode with Pure Leaf Iced Tea. I wrote about that whole fun (and sunny!) experience in this post, if you’d like to read all about it. To be completely honest, I kinda felt like a rock star with this whole experience. Everyone at Tastemade and Pure Leaf were so nice and welcoming and really went out of their way to make sure I was happy. Plus, I got to make a delicious Sweet Mint Lemonade Iced Tea using Pure Leaf Unseewetend Iced Tea which is always yummy. Growing up, my dad and I always used to order what we called “Half And Halfs” at this restaurant in my hometown of Ojai, California and they were just glasses filled with half iced tea and half lemonade. 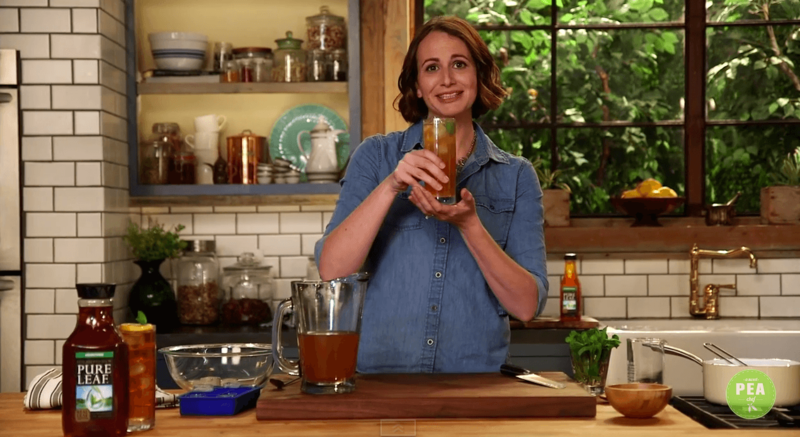 Anyways, over the years, I’ve turned that simple drink my dad and I would order into a delicious, sweet, minty iced lemonade iced tea and I was really excited to share it with the world in this video. 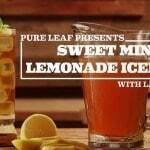 Try this delicious, easy and refreshing Sweet Mint Lemonade Iced Tea. Heat the water and sugar in a medium saucepan over medium-high heat. Once the mixture is heated through and all the sugar has dissolved. Add the fresh mint leaves, simmer for about 1 minute and remove from heat. Allow to cool. 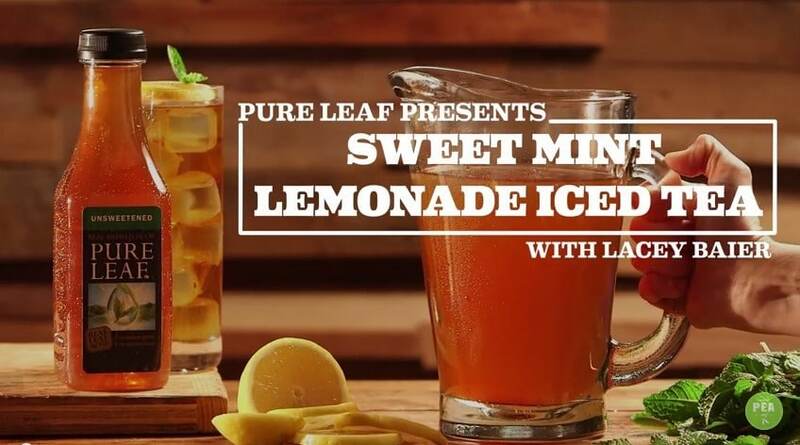 In a tall glass, add the ice cubes, followed by the lemon juice, 1/2 cup of the cooled simple syrup (water and sugar mixture), and 3/4 cup of the Pure Leaf Unsweetened Iced Tea. Stir to combine. 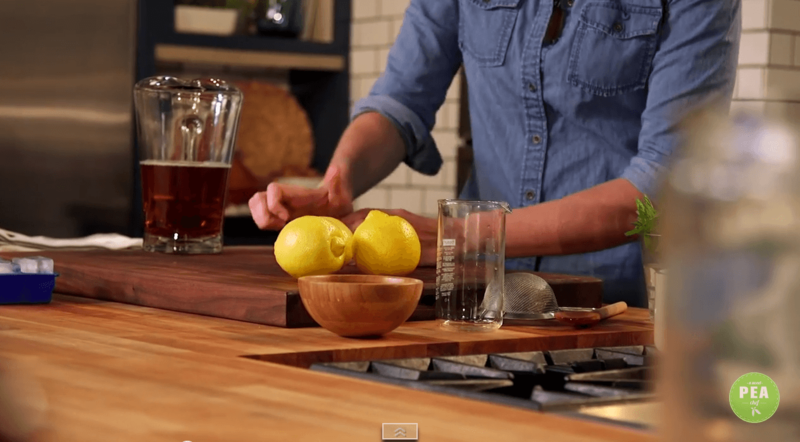 Depending on your preferences, you could add slightly more simple syrup for a sweeter flavor. 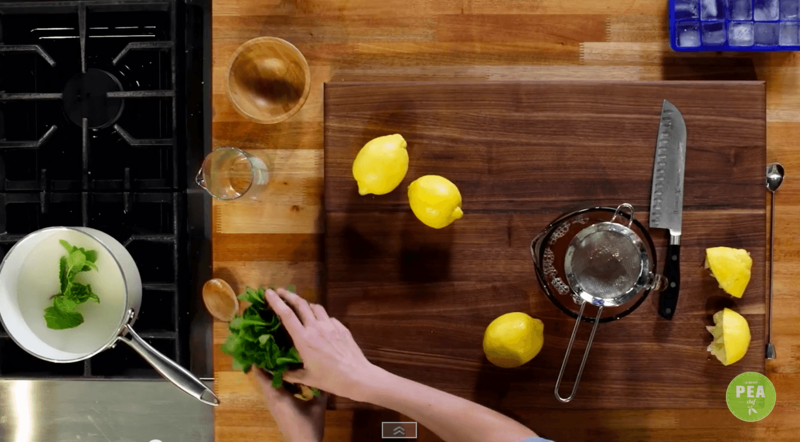 Serve cold and with fresh mint leaves and/or lemon slice as a garnish. MY TIP: Make simple syrup in a big batch, and you can store in fridge for up to 6 months.